Breaking up is not easy for some people, and I am one of those people. But I did have to break up with someone in the past and I wondered whether I would get bad karma for breaking up with him and for breaking his heart. If you’re wondering whether you get bad karma for breaking someone’s heart, the short answer is yes, you do. Every time you hurt someone’s feelings, you get bad karma. But the long answer is that it depends on the karmic history you have together. It could be that your karma together as a couple is simply finished and you have no reason to be together anymore. In this situation, it is natural to part ways. It could also be that this person had broken your heart in a past life and you are simply, karmically, getting even. Don’t think of it like getting even in a mean way but more like balancing your karma so that you can both be free. There’s more to it though, so let me explain with a few personal stories that will show you how karma works and what the karmic books say about this. Many people act like their actions have no consequences, but you and I both know that there are always consequences and that every action has a reaction. This is a law of karma that happens to be just as real as the law of physics that says for every action there is a reaction of equal force. 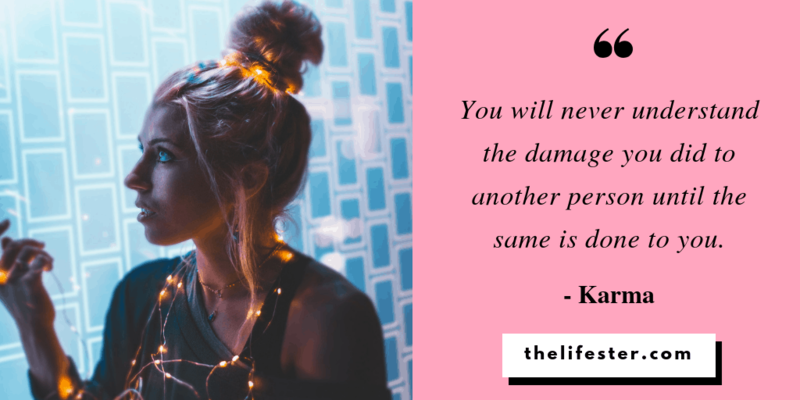 That means for everything you do to another person, especially in a break-up situation or when you have to break someone’s heart, there is a karmic consequence and a karmic debt is created. You will eventually have to pay back this karmic debt. But don’t get scared because there’s a good reason behind it. Do you get bad karma for breaking someone’s heart? If you break someone’s heart, when you truly hurt someone’s feelings, this will come back to you. The most common way that it will come back to you is that you will have to feel the exact same pain that you caused the other person in almost the exact same way. It happened to me before and I can speak from experience that you will have to be in the place of the person who broke your heart and get your heart broken in the exact same way. It’s not just a fancy quote, it’s a fact. You will never understand the damage you did to someone else until the same is done to you. Why do you have to go through the same karma that you caused? Well, it’s simple. The rule of karma goes like this: You get what you give. So if you’ve caused the experience of breaking someone’s heart, you get your own heart broken. And the amazing thing is that it will happen to you almost in the exact same way that you did it to the other person. 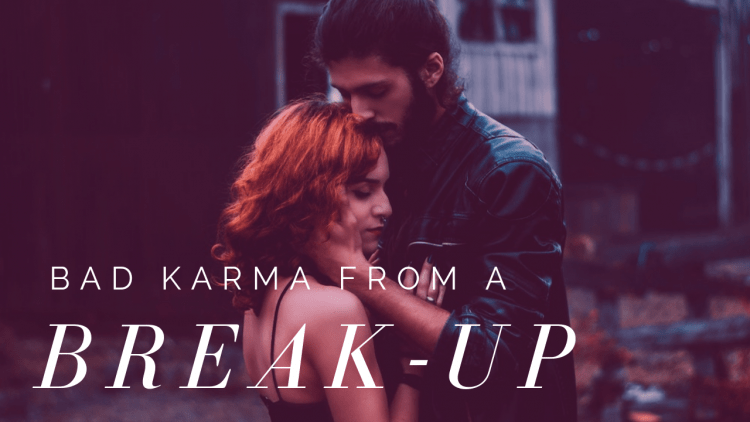 When you read my own story of karma in a romantic relationship, you will see that my heart was broken in almost the exact same way that I broke someone else’s heart more than 10 years before and I had to go through the same heartache as I had caused. It took me more than 2 years to heal from that heartbreak and I realize now that it had probably taken my ex from 10 years ago about the same amount of time to heal from the heartbreak I had caused. I think that this happens because humans are experiential learners. When we experience something, the wisdom from that goes deep within us and integrates with our consciousness. This type of learning and understanding is much deeper than anything we can read in a book or hear a story about. I believe that we choose to come to this planet to have experiences. We want to experience all that life has to offer because it is through experiences that we get the deepest understanding. Experience is worth a lot and that’s why senior managers earn more than young employees – because they have experience that they gained over a much longer period of time and through many more life and work experiences. When we experience heartbreak in the same way that we gave someone a broken heart, we get to experience the other side of the story. This helps us to finally understand what we did and what kind of effect our actions had on another person. What if the other person has broken your heart too? What if you didn’t cold-heartedly break-up with someone just like that out of the blue? What if you had a good reason for it like the other person had already hurt you many times before you broke his or her heart? Everything has a limit and there is a limit to how much you could take as well, so it is natural that after being hurt a certain number of times, you got fed up and decided to break things off for good. Of course, that’s totally acceptable, but there is still a consequence for your final action. The only way I can explain this is with a personal story. This goes back to the original story I shared about karma in relationships with my ex-boyfriend. We had dated for about 5 years, on and off. I had originally asked him out when I was 14. I was very innocent back then and quite naive and he was a jock, very masculine, and his closest friends were the cool athletic guys in school. After our summer break when we didn’t see each other at all, we came back to school and he broke up with me right away. I was 15 at the time, and to be honest, it did break my heart a little. I thought that I had given him so much and he just didn’t like me enough to want to be a couple or maybe his friends didn’t think I was cool enough. Later in that school year, we somehow got back together again. I don’t remember who asked who out this time around but we were older and there was much more physical attraction between us this time around. But again, we broke up at the end of the year. Maybe because I didn’t want to come back to school after summer and get my heart broken again by him, or it was just a mutual decision, I don’t remember. It doesn’t mean that I didn’t hurt me or that it didn’t break my heart all over again. At the end of our final year in high-school, we got back together again and we decided to go to the same university. Once we were in university, suddenly I was exposed to so many new people, new social circles, and met new interesting guys who didn’t just fit into the jock or nerd category but were much more interesting and multidimensional. Suddenly I wanted to experience more than what my reliable and predictable high-school boyfriend could provide. So, towards the end of our first semester at university, I broke up with him. I know it crushed him. I know it broke his heart into a million pieces. I know that I hurt him beyond words can describe. And I know that because, 10 years later, I experienced the same heartbreak from someone else. Do all the small heartbreaks he caused me throughout high-school justify the big one I caused him in university? No, they don’t. I believe he had already paid back his karmic debt for those little heartbreaks through fights that we had had and through the process of breaking up and getting back together over and over again. My friends tried to justify my final act of the big breakup by saying, “But he was so mean to you in high-school!” but in my heart, I know the real reason I broke up with him in the end. I wanted more experiences in dating and I wanted to meet new people who I could have those experiences with. That was the root cause of the final breakup. 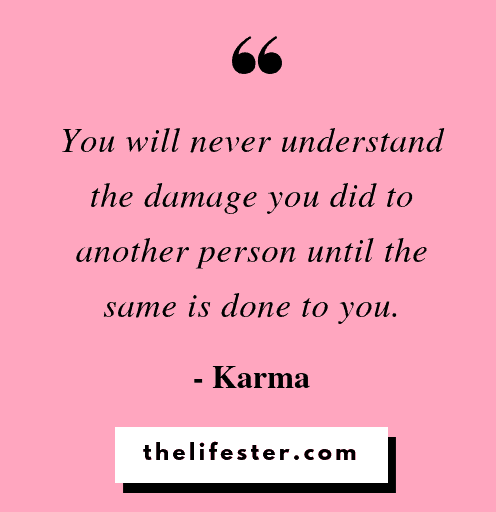 And that’s the karma I carried with me until it came back around and I had to go through another breakup with someone else where he wanted new experiences rather than being in a reliable and predictable relationship with me. So you see how all the little heartbreaks don’t justify the big one in the end because if I was 100% honest, I didn’t break off our relationship completely at the end because of the added up pain from all the little breakups. I did it because of a completely different reason and therefore the karma is unrelated to the little breakups. What if you have a good reason for breaking someone’s heart? I’m sure you’re not an evil person and you’re not just breaking someone’s heart for fun. You have a good reason for it like not being into the other person as much as they are into you, outgrowing the other person, or another valid reason. That’s totally OK but (unfortunately) you will still get karma from this breakup. You might think that this is unfair because after all, you have a good reason for doing this. Maybe the relationship just doesn’t work for you anymore. Maybe it hurts more to stay in it than to get out of it. And that’s all totally OK. The reason why you will still get karma from it is because of what I said earlier. It doesn’t make you a bad person. You simply have to experience the same breakup but from the other side in order to get the full picture. It might take some time until it comes back to you and you will get the chance to experience it from the other side. For me, it took 10 years but eventually I had the chance to experience what I did to my ex, first hand. I really mean this and you need to trust me when I say: You are not a bad person for the karma you create from breaking someone’s heart. Even if you have hurt someone a lot because of this breakup or have had your heart broken terribly, you are not a bad person for it. Think of it like an equation that needs to be balanced out on both sides. That’s how karma works. For everything “good” you’ve done, you’ll get the same goodness back and for everything “bad” you’ve done, you’ll get the bad stuff back. That’s the good news. Karma doesn’t pick sides. It will return the good and the bad back to you equally. How can you get rid of the karma if you’ve already broken someone’s heart? On the other hand, they could still be holding onto resentment towards you and will react negatively towards you after receiving your message. They may decide to highlight all the ways that you hurt them, tell you all of their reasons why you are a bad person and what you did to them long ago was bad. They may spin it in a way that they were the dumb one to allow you to hurt them so badly, which is basically a passive-aggressive way to tell you that it’s all your fault and they are still not over it. If this happens then the last thing you want to do is to go into defense mode and try to defend yourself. Do your best just to hear the other person out, give them an opportunity to vent and air out their feelings and then respond with something very short like, “I understand and I mean it when I say sorry. Wishing you all the best.” Just keep it short. The other person might get even angrier but they will get the hint that you just wanted to apologize and not necessarily reopen old wounds and start a new fight. If they message you again with something rude, just ignore it. I have to be honest and say that I have not yet asked for forgiveness in person, face-to-face. The thought of it makes me really nervous and seeing the person from my past may awaken feelings that I don’t want to deal with anymore. I have messaged ex-boyfriends asking for forgiveness and also old friends who I knew I had hurt and it went both ways as I mentioned above. The second method of speeding up balancing your karmic debt is by asking for forgiveness in your heart. If you’ve read the book Eat, Pray, Love by Elizabeth Gilbert, you will know that she had used this method when resolving her conflict with her ex-husband, and according to the book, it worked. The key to this method is to truly and honestly feel sorry in your heart and to feel the remorse of having hurt another person. Often you feel this when you go through a similar experience of heartbreak that you caused the other person. When that happens, you automatically feel true and honest remorse in your heart. When you feel it, you can go into meditation and after your meditation, you can take a moment to visualize yourself in front of the other person, and then tell them you are sorry. I have tried this method before and I know it works. 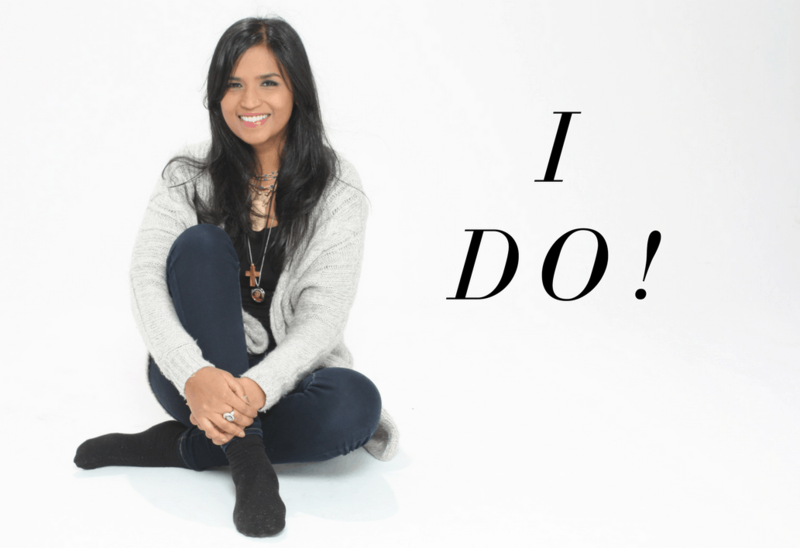 I had been struggling to let go of my guilt about treating an ex-boyfriend in a certain way. I was struggling with this so much that I even had a cranio-sacral therapy session to deal with my feelings. In the session, as I went into a meditative state, I came face-to-face with him and had to communicate with him so that I would have a deeper understanding of what was causing me the guilt and whether it was a legitimate reason or whether I was taking on something that wasn’t even an issue from his side. After this meditation, I felt relieved from this burden I had been carrying around for 4 years and was finally able to let go and be free from that guilt. I believe that by “meeting” my ex in meditation and asking saying sorry in my heart helped to dissolve this particular karma I had with him because I finally came to an understanding of why what happened between us had to happen. After this meditation, I felt relieved from this burden I had been carrying around for 4 years and was finally able to let go and be free from that guilt. I believe that by “meeting” my ex in meditation and asking saying sorry in my heart helped to dissolve this particular karma I had with him because I finally came to an understanding of why what happened between us had to happen. 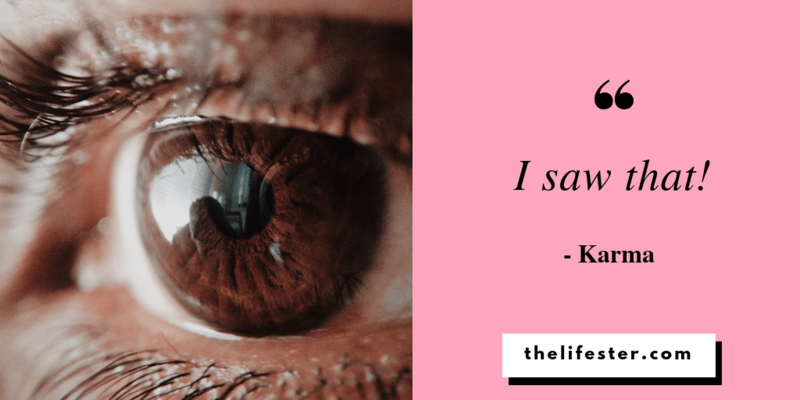 So, you see that even if you have bad karma for breaking someone’s heart, you also have many ways in which to balance your karmic debt and make things right again. Now I want to hear from you. Do you feel like you have bad karma for breaking someone’s heart? What did you do and how do you feel that the karma is affecting your life now? Put it in the comments below. If you think that this post might help someone who is struggling with guilt from breaking up with someone, please forward it to them. You might be helping ease someone’s pain more than you know. You have to deal with a friend you don’t like anymore. Don’t worry, it happens to most people. It’s natural that as you grow and evolve, you will drift apart from some friends and make new friends who are different. Does this sound familiar? You have someone in your life who used to be a good friend but then something happened, something is off now and it doesn’t feel the same. It could simply be because the karma between they two of you is over. But you are trying to still hang out and are polite with each other. Well, here is why you shouldn’t pretend to like each other when deep inside, you both know that you don’t like each other. Don’t waste any more time on this “friendship”! Want to know why? You are both feeling awkward towards each other so it’s better not to pretend. Look, there is a good chance that your friend is feeling awkward about this too, just as much as you. Even though you both are pretending you want to meet up and catch up, you both are really not up for it. If you are feeling it, she is too. So save both of yourselves the awkwardness. Your friend might be bad-mouthing you behind your back. She is probably saying bad things about you to other people behind your back. Why would you want to hang out with someone like that? You are probably also being fake by being all smiley and cordial and polite. Stop it. Being fake is not a good thing. It’s not a good look. Don’t do it. Trust your gut feeling about your friend. NO. you don’t have to do anything. Tell her that you can’t see her. Make up an excuse if you have to. She will understand, and you both will be better for it. Want to know How To BreakUp With A Friend? Watch the video on this post. 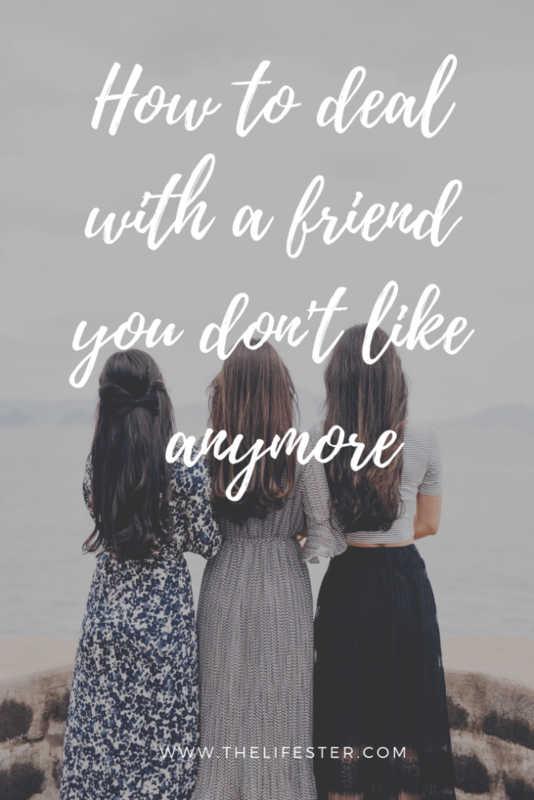 Now a question for you: Do you have a friend who you’re not totally sure if you want to see again but because of politeness you kind of are going along with it? If yes, then put it in the comment below why you feel you have to see her. Once you write it out, it will help you to decide actually whether you want or need to see her or not. 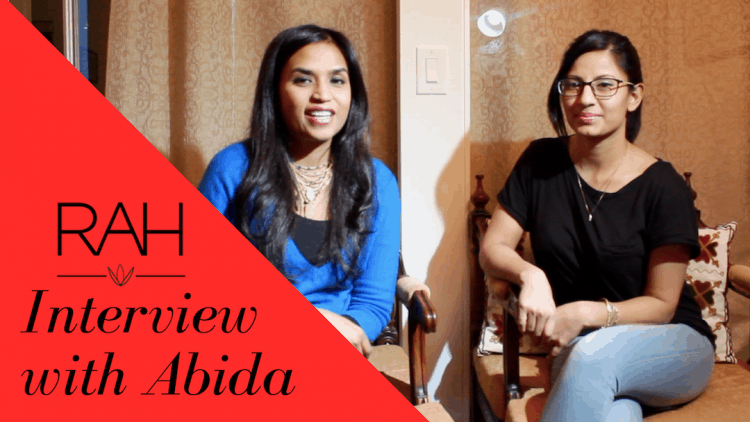 Interview with Abida Rahman, Founder of Rah Inc.
My friend Abida Rahman, the founder of Rah Inc. and the woman behind rahinc.ca dropped by for an interview recently. We spoke about deep life stuff and she revealed her inspiration behind what she does, the pain that she was trying to overcome that made her start this work, her definition of spirituality, how to meditate, how to pray and connect with a higher power. She also reveals her latest projects here! 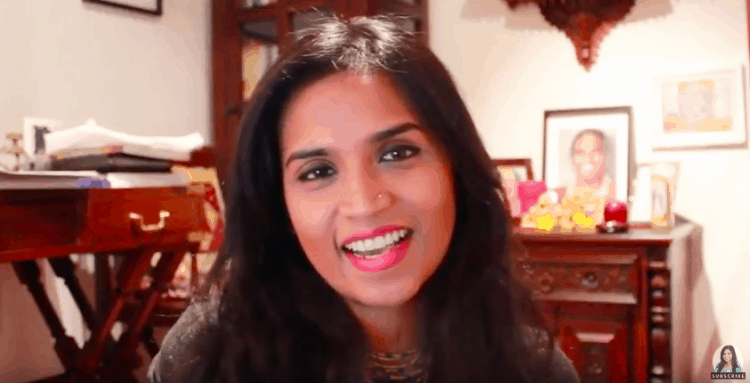 In this video, I talk about OM Chanting and why it’s so awesome. What I don’t talk about on the YouTube though is the actual transformation I went through because of the consistent practice of OM Chanting. As you know from my blog, I moved to Australia at the beginning of 2014. The Universe somehow arranged for me to give my first OM Chanting Workshop at a yoga studio and from that, I was offered a weekly time slot to hold regular OM Chantings at the same studio. What I didn’t share in this video is that change that OM Chanting initiated in me and led me through. When I first moved to Australia my priorities were my relationship, my social life, my living standard, the nightlife, and my social standing. By the time I left Australia one year later, I was almost ready to live a much simpler life and renounce the “outer world” preferring to focus within instead. At the beginning of that year, I was drinking often and by the end of the year, I completely quit drinking alcohol. I went from being in the world to retreating from it completely. I kind of gave it all up and retreated back home to Toronto. My transformation was maybe a bit too extreme and it’s probably because of the fact that I was consistently attending OM Chanting circles every single week for almost 11 months. I was also doing my Atma Kriya Yoga meditation every day in addition to the fact that I was very far away from home and that makes you introspective. Not everyone has the same intensity in their personal transformation as I did but whether you see it or not, trust that you are going through a significant transformation every single time you participate in OM Chanting. OM Chanting burns karma, and it is extremely purifying for you as you chant, for all the participants and also for the entire area around the circle. You are transformed every single time you attend an OM Chanting circle. You are not the same person as when you started a circle as after it is over, and this is true every single time you attend an OM Chanting, whether it is your first time or your 365th time. I invite you to join an OM Chanting circle and experience it for yourself. Find a circle near you here: sadhana.bhaktimarga.org. What makes you think you are qualified? You know those awful family conflicts when two people you love, usually your parents, are having a big fight in front of you and you just have to sit there cringing and watch them humiliate themselves as they hurl insults at each other? Well, I was the “innocent bystander” of a fight like this last week. I watched a fight break out in a chat group I belong to where things got a bit heated when a few of my friends started arguing about a touchy subject. That comment pierced me like a bullet. I’m still trying to understand why I was so hurt by it. I think I took this comment personally even though it was directed to someone else. It felt like as if someone was confronting me, asking me what makes me think I am qualified to do anything that I do. The comment triggered an inferiority complex in me that had been dormant for a little while. The irony is that my inferiority complex is completely unfounded and is just another device I created to sabotage myself. People, especially women, do this all the time. We sabotage our friendships by disrespecting our friends, we sabotage our relationships by not being willing to compromise, we sabotage our careers by playing small and we sabotage our lives by not stepping up and rising to the challenge. A comment like “What makes you think you are qualified enough…?” is the surest way to trigger an inferiority complex and shrink a person down to a level far below her true being, discredit her capacity and rob her from her potential. How do you then deal with a comment like this? Well, let’s just try to answer the question straight up, but before we do that, I would argue that we don’t have to qualify ourselves to others. We have to qualify ourselves to us. What makes me think I’m qualified enough to teach XYZ? Well, I think that I’m qualified enough, and therefore I teach. Don’t get me wrong here. I’m not just making a wild claim when I say that I am qualified to teach anything I randomly wish to teach, but I am qualified to teach certain things that I have the qualified myself to teach. Qualifying oneself to teach something, to do certain work, to take on certain roles and duties is a big responsibility that one takes upon oneself. I’ll repeat that. Standing up and teaching something to others is a big responsibility and having the necessary education, training, and qualifications to do it right is a responsibility that the teacher has taken upon her shoulders. And it is not easy. Slowly, I had a revelation. I realized that my Guru Paramahamsa Vishwananda had personally approved my application and even though I didn’t trust myself to spread his teachings, HE did. He trusted me. He had faith in me that I would be a good Atma Kriya Yoga teacher even though my own mind was trying to convince me of something different. So, what makes me think that I am qualified to teach XYZ? I do, because I have earned the qualification through training, testing myself, my own desire to learn and also to teach. Most importantly, I am qualified through the grace of my Guru because without his Grace, none of this would be possible. Now that I have the “qualification” or self-approval and now that I have assumed the responsibility and consequences of doing my job as a teacher, I can answer that piercing question.